Let’s say that you’ve been inspired by a story like the one from Aubrey Blanche at Atlassian (Aubrey boosted the number of female technical hires by 80%—you can learn how she did that here). You’ve decided that building a diverse team is a priority at your organization. You’ve revamped your pipeline and recruiting strategies to bring in candidates from a broader range of backgrounds. So what comes next? It’s time to get your hiring managers on board and update your interview process. After all, 45% of employees think hiring managers are in the best position to increase diversity. But not all hiring managers are aware of the role that unconscious bias plays in their decision-making, and they may not realize that their approach to interviewing may be favoring certain candidates. Here are 8 ways you can work with hiring managers to optimize your interview process to reduce bias and welcome more diverse candidates. One of the most important steps in a structured hiring process is making sure that hiring managers and recruiters are on the same page. You want to understand what you’re looking for so you evaluate every candidate on the same criteria. Before you open a role, hold a kickoff meeting with hiring managers to help them define exactly which skills and characteristics are essential for someone to succeed. This will help you design the rest of the interview process accordingly. Keep in mind that great candidates may be overlooked if hiring managers arbitrarily choose the most important criteria only after meeting candidates. Work with your hiring manager to define which steps your hiring process will include such as phone screens, take-home tests, on-site interviews, etc. You want to make sure that all candidates go through a consistent process. The hiring process should be widely communicated and shared with everyone. Things like blind resume reviews, structured interviews, and skill assessments will reduce bias and put candidates on an even playing field. Be thoughtful when creating your interview loops. Panels should include a diverse group of employees, some who work on projects similar to what the candidate would be working on, some who have a similar shared experience, some who will be peers, and some who will be managers. This approach can help reduce team bias while giving candidates a fuller picture of what their experience will be like at your company. Earlier in the process, you met with the hiring manager to define the role and discuss the interview plan. Now it’s time to make sure that everyone on the interview panel knows what they’re looking for in a candidate. Provide interviewer training, including unconscious bias training, information on illegal interview questions, and instructions on how to submit objective feedback. Be transparent about the interview process with your candidates. Let them know who they’ll be meeting with and what they can expect from each interview or meeting. Remember that the onsite interview experience can make or break a candidate’s impression of your company. Make it a priority to keep candidates informed on where they stand and what the next steps are. After a candidate has participated in an onsite interview, it’s important to close the loop and manage follow-up. Make sure that every interviewer enters their feedback into your applicant tracking system. Read through all the feedback your candidate received and flag anything that doesn’t make sense or doesn’t fit in with your predetermined hiring process. Don’t allow interviewers to make judgments without concrete examples to back them up or to make decisions on based on factors that weren’t outlined by the hiring manager. 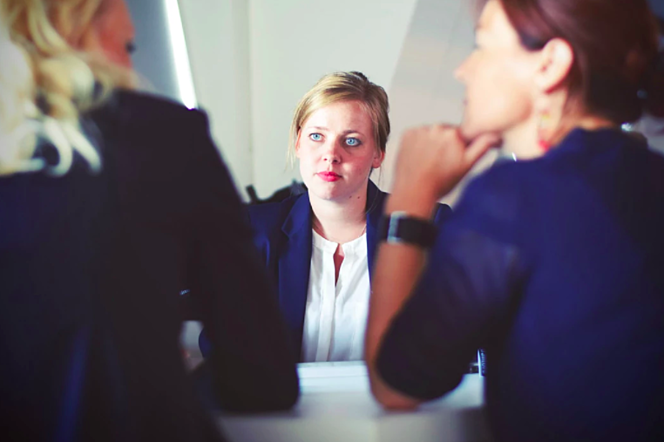 Once all interviewers have submitted their feedback, you can invite them to a meeting to explain how each of them engaged with the candidate and how their different experiences shaped their perceptions. Note that you may wish to bundle these meetings so that your team is discussing several final-stage candidates and discussing next steps. Request feedback from both hired employees and rejected candidates to learn how you can improve your hiring process in the future. You may find that some aspects of your hiring process don’t sit well with specific groups you’re trying to reach, and may need to adjust accordingly. You now have the key steps to help you optimize your interview process to increase consistency and reduce bias. Taking this approach requires dedicated effort and partnership with your hiring team, but it’s essential if you’re looking to make diversity a priority at your company. If you’d like to explore how to promote diversity through your recruiting strategies in more detail, be sure to check out our eBook, "3 Diversity Recruiting Strategies." You can download a copy here.